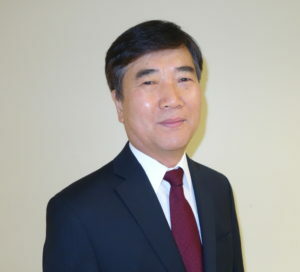 Dr. Chul H. Han is Connecticut licensed Acupuncturist. He holds a Ph.D. in Oriental Medicine from American Liberty University, a certified national board in acupuncture (National Certification Commission for Acupuncture and Oriental Medicine) and is certified in Clean Needle Technique. He has earned a double degree, Master of Science in Acupuncture and Oriental Medicine at Pacific College of Oriental Medicine and Tri-State College of Acupuncture at New York. Dr. Han’s goal is to help you achieve optimal health and well-being without any side effect at affordable cost by getting to the root of the problem. He has helped thousands of patients improve their health through his practice. Dr. Han is committed to assisting his patients and community in their healing process and educating them in health awareness. His holistic approach to treating patients include a combination of complementary techniques: Acupuncture, Herbal Medicine, Cupping and Moxibustion. He provides affordable & holistic care, and employs a gentle & instructive approach to treating his patients. For thousands of years, acupuncture and traditional oriental herbs have been used to prevent and treat various forms of disease, relieve pain, balance mood, increase fertility, delay aging, and improve overall health and wellness, and is continuously bridging the gap where modern medicine is lacking. Dr. Han is extremely passionate about carrying on this tradition into the 21st century and is excited to help you achieve your well-being!